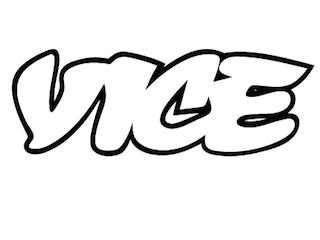 You've probably been hired by Vice, too. Vice has hired pretty much everyone. Details are below. Fatima Bhojani has been named an associate producer. Her work has appeared in Salon, The American Prospect, The Nation and more. Tyler Borchers joins as director of audience development. He previously worked for Time as senior audience strategy editor. Arielle Duhaime-Ross has been named climate and environment correspondent. She most recently served as a science reporter for The Verge. Axel Gerdau joins as a producer. He previously worked for The New York Times as a producer-shooter-editor. Kaz Ishii has been named motion graphics art director. He previously worked for the branding agency. Jay Caspian Kang joins as civil rights correspondent. He’ll continue to write for The New York Times Magazine. Simone Landon has been named features editor for ViceNews.com. She previously served as a senior editor for FiveThirtyEight. Lauren Prince joins as a producer. She most recently served as a desk reporter for NBC News. Elspeth Reeve has been named a technology reporter focused on Internet behavior. She previously worked for The New Republic. Angad Singh joins as a production assistant. He most recently interned with CNN and MSNBC. Bijan Stephen joins as culture reporter. He most recently served as an associate editor at The New Republic. Karen Ye joins as a production assistant. She was previously a PA for Face the Nation.